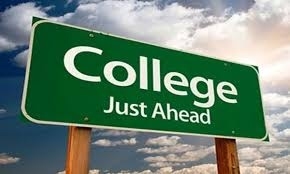 Now that most college acceptances are in, its time for the students to start making their decisions! Final decisions should be made in the coming weeks. For now, A big congratulations on all of your hard work and acceptances! SCHOLARSHIP! 5,000 per year Academic Alumni Scholarship to Hampden-Sydney! SCHOLARSHIP! $8,000 per year International Scholarship from University of Hartford! SCHOLARSHIP! Oceane received a $2,000 Award of Excellence Scholarship! SCHOLARSHIP! Akbar received a $15,000 per year Merit Scholarship! SCHOLARSHIP! Akbar Received a $21,000 per year Dean's Achievement Scholarship! SCHOLARSHIP! Akbar received an $18,000 per year International Merit Scholarship! SCHOLARSHIP! Akbar received a $17,000 per year community scholarship with a $3,000 one time summer enrichment component.